LEGO and Warner Bros. have just announced that the Danish toy company has picked up the rights to produce playsets based on both Peter Jackson's original Lord of the Rings film trilogy and the pair of new Hobbit movies. For people who like hobbits and toys, this is good news. 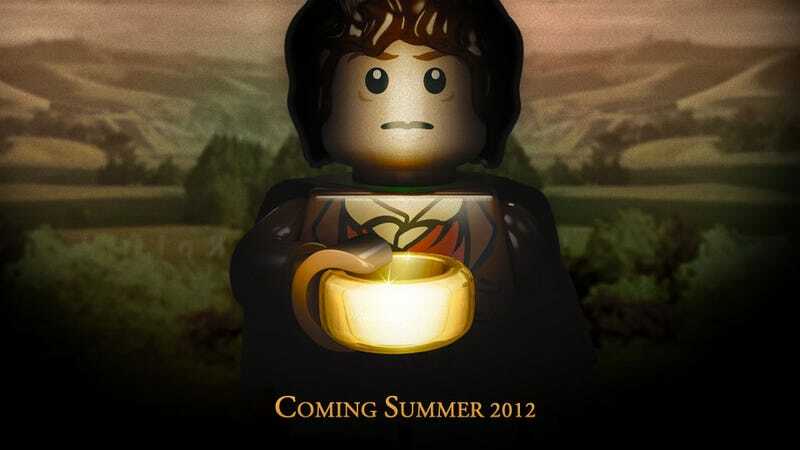 For people who like LEGO video games and Lord of the Rings, well, it's 99% likely to also be good news. While the initial announcement doesn't mention video game tie-ins along with the LEGO toys themselves, this is LEGO. And Warner Bros. And Lord of the Rings. If there aren't multiple games based on the franchise I'll eat my large hairy feet. The toys will begin appearing in Summer 2012.